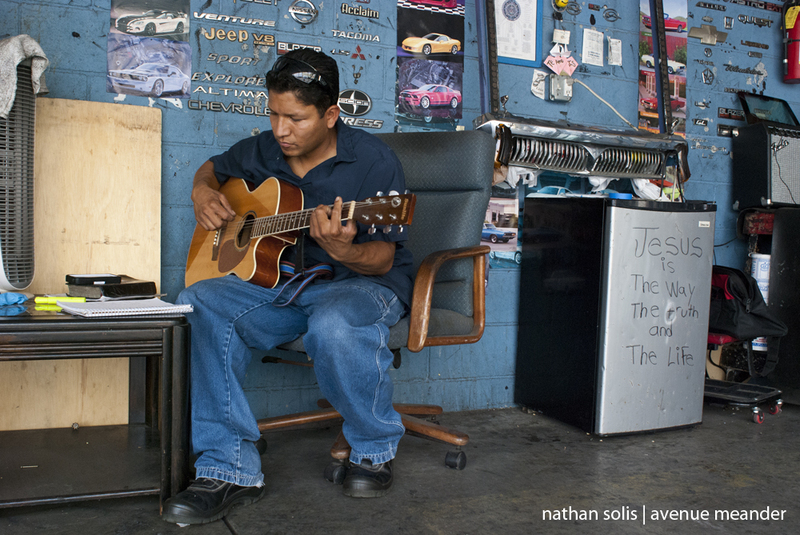 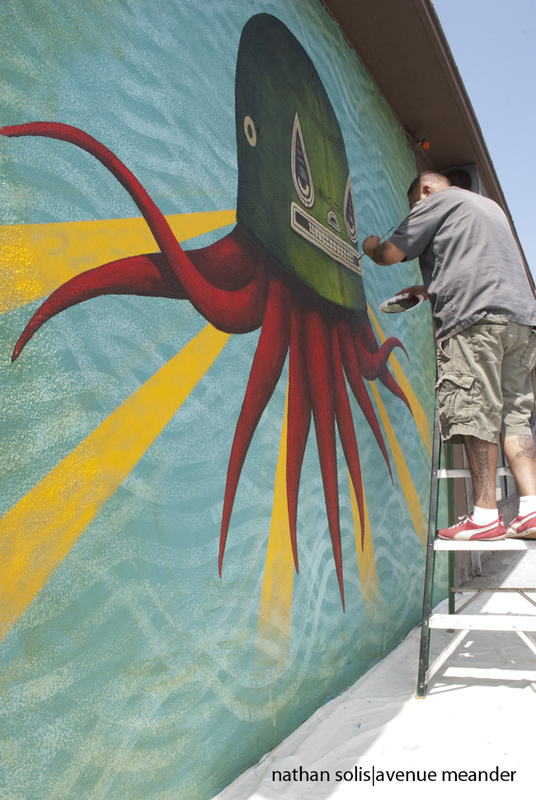 GERMS at Hardware Studio – Jaime Zacarias is surrounded by people on East 1st Street in Boyle Heights. 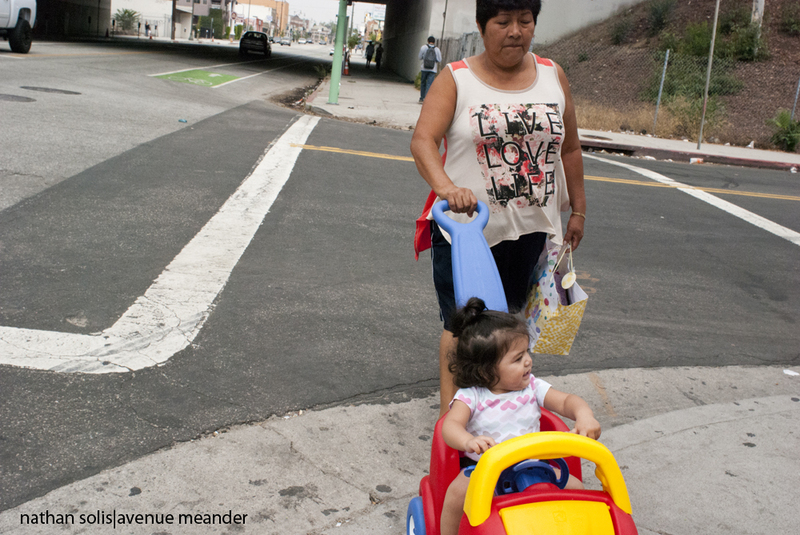 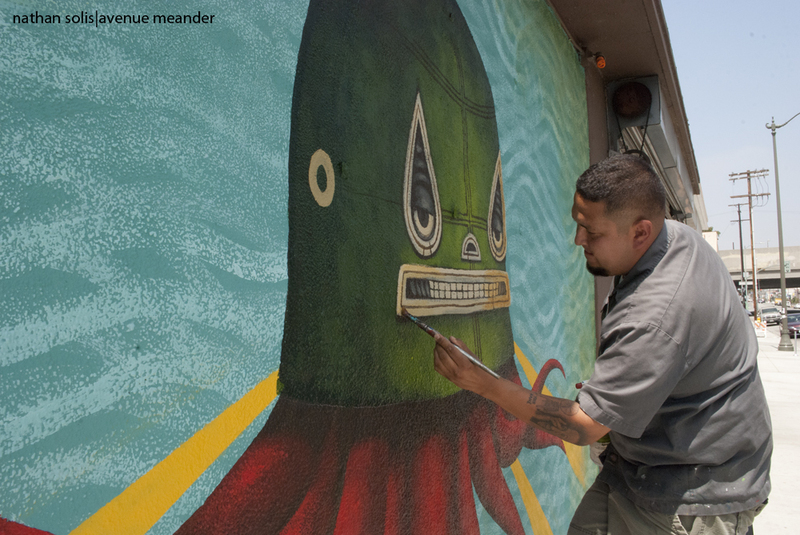 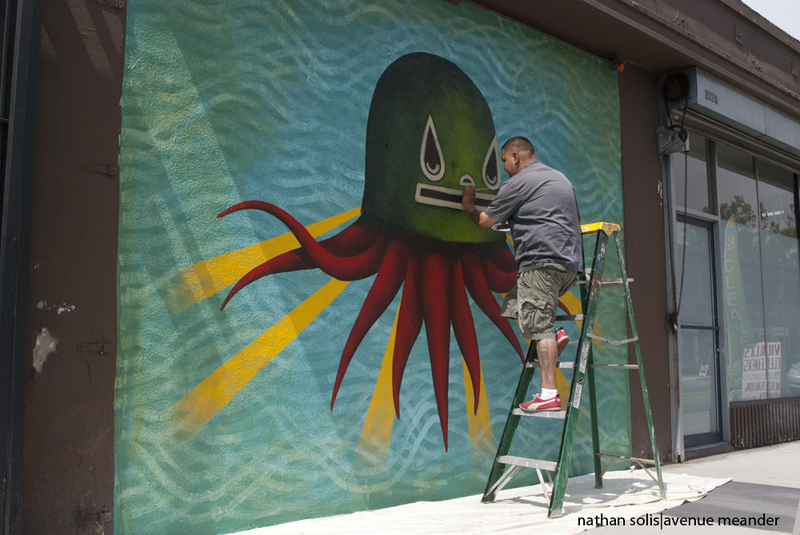 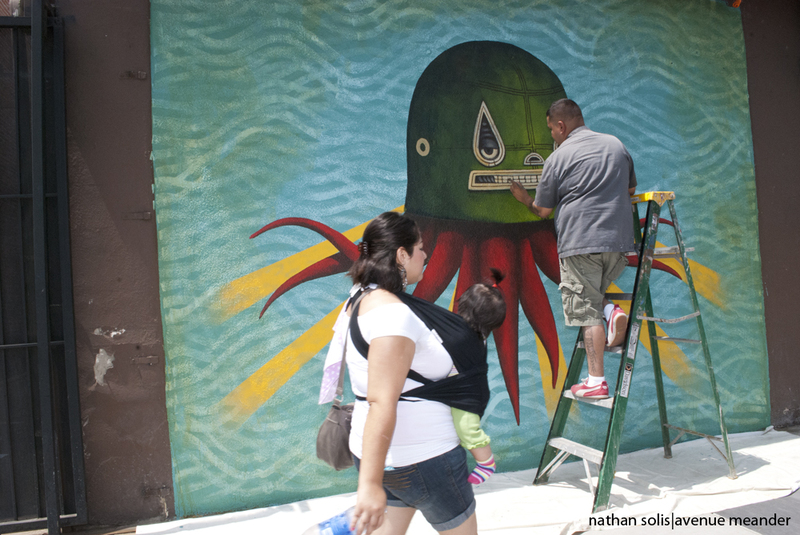 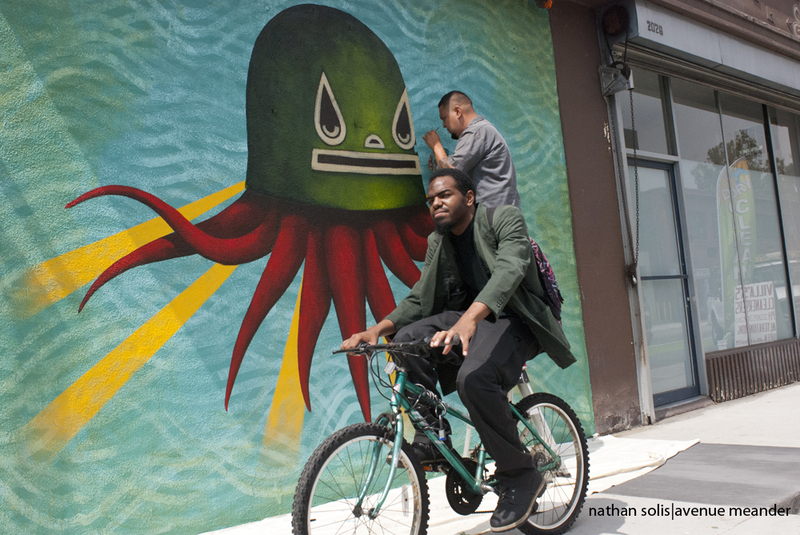 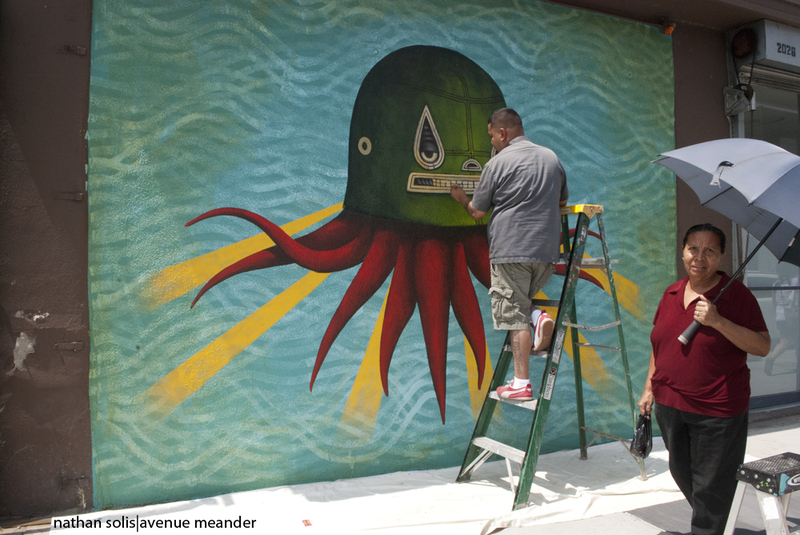 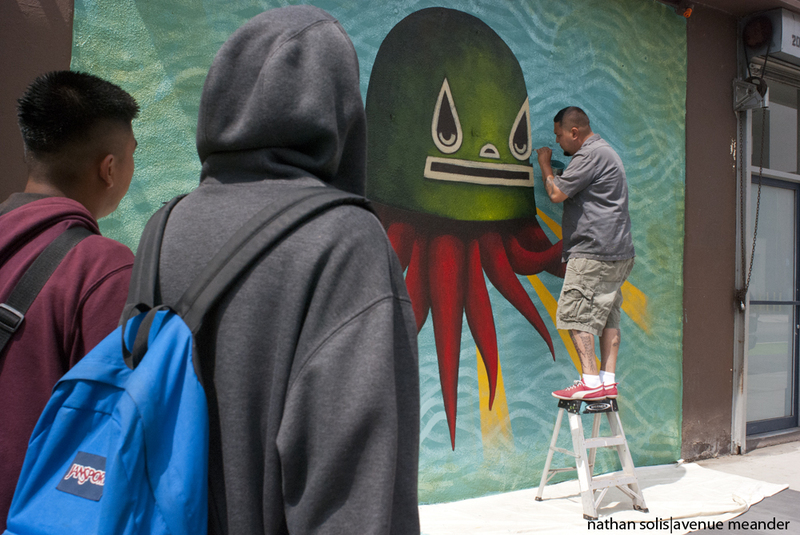 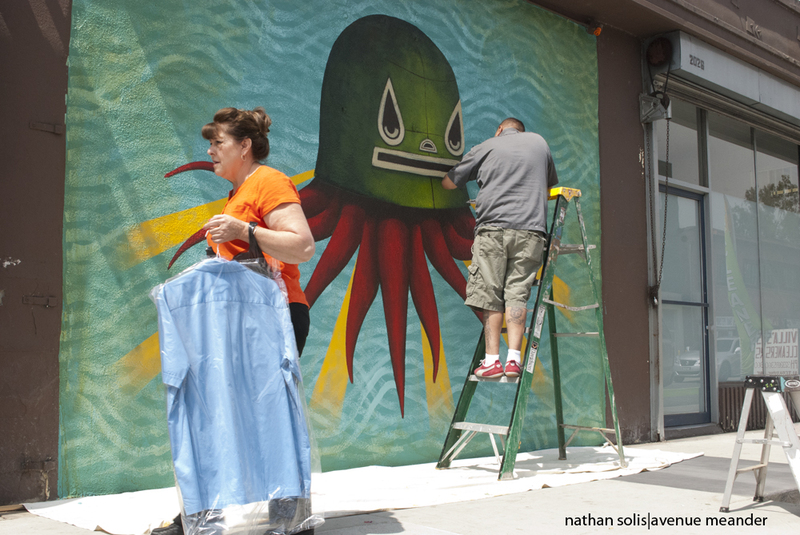 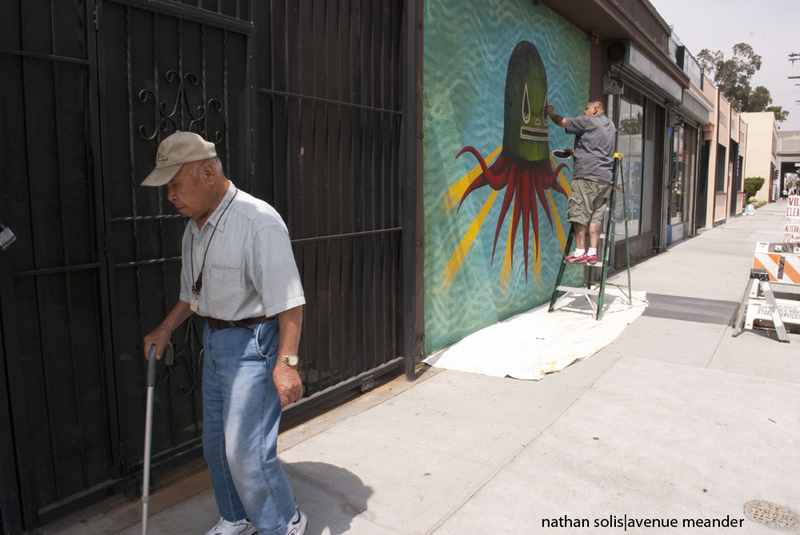 He is soft spoken when referencing his in-process mural ‘La Luchadore’, and all sorts of residents of Boyle Heights pass by and marvel at his work, the sun beams cast down from head resting on tentacles. 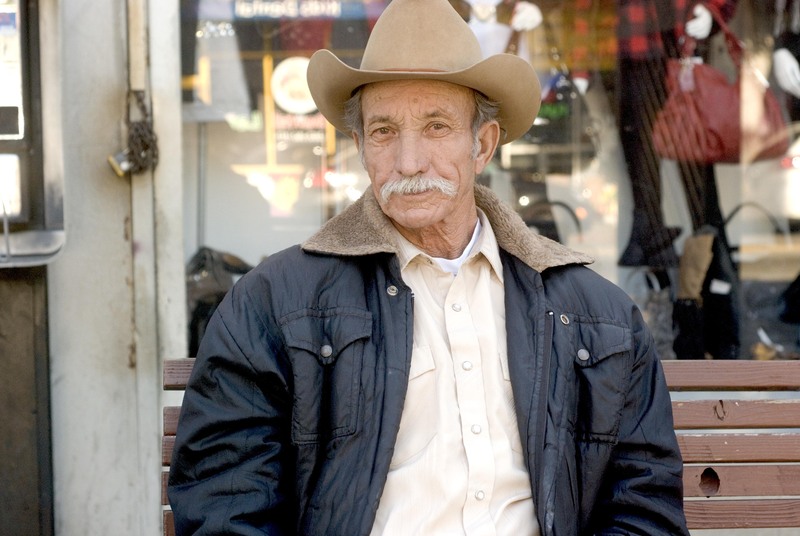 The grin of his luchadore smiles down on them, the old, the young, the tias with their umbrellas, the Japanese man with his cane, the girls with their babies and the babies with their own wild hair-dos. 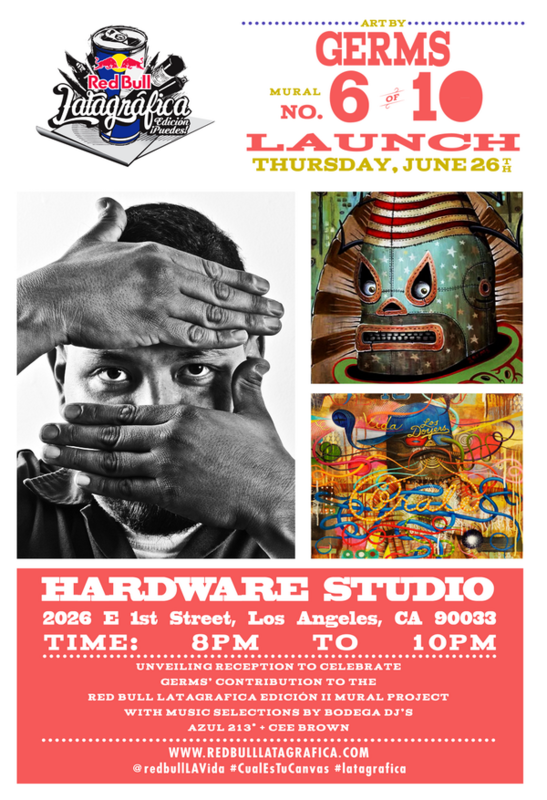 The unveiling ceremony will be taking place at Hardware Studio in Boyle Heights, June 26.